The Canton Charge were defeated by the Reno Bighorns, 95-83, in front of 2,510 at the Memorial Civic Center on Saturday night. The loss drops Canton to 8-4 on the season, while Reno improved their mark to 6-7. With the Charge up 18-17 at the start of the second quarter, the hosts came out with a 12-3 run in the first 4:30 that included four Bighorns turnovers to take a 30-20 lead. The Canton defense forced seven turnovers overall in the period that resulted in 12 points and took a 44-37 lead into the intermission. Reno’s 37 first half points were a new season-low for a Charge opponent. The Bighorns came out in the third period firing, hitting seven of their first eight attempts from the field during a 17-10 run that tied the game at 54-54. The Canton defense came alive to then hold Reno to 2-of-9 shooting in the final 6:30 in the midst of an 18-8 run to go back ahead 72-62. Kevin Jones had 11 of Canton’s 28 points in the quarter, including hitting all five trips to the free-throw line. After the Charge scored on each of their first two possessions of the fourth for a 76-62 advantage, the Bighorns stormed back with a 17-3 run over a span of 6:03 to knot the game at 79-79. Reno’s run included forcing four turnovers and limiting Canton’s offense to 1-of-8 shooting from the floor. Both teams traded baskets before the Bighorns clamped down defensively down the stretch, holding the Charge to 1-of-10 in the final 3:43 to close the game on a 14-2 run that sealed the victory. Overall, Reno outscored Canton 33-11 in the fourth thanks in part to hitting 11-of-22 field goal attempts and 4-of-8 from beyond the three-point line. Jones finished with 17 points on 6-of-12 shooting with eight rebounds and two assists in 32 minutes. On assignment from the Cleveland Cavaliers, Sergey Karasev netted 12 points with four steals and two blocks in 35 minutes. Jorge Gutierrez scored 10 points with four rebounds, five assists, two steals and two blocks in 29 minutes. Bo Spencer added 11 points and six rebounds in 21 minutes of relief off the bench. Seven players scored in double-digits for Reno, led by K.C. Rivers’s 17 points and six rebounds in 34 minutes. Mo Charlo supplied a double-double of 12 points and 11 rebounds with five assists in 39 minutes. Bryan Davis added 10 points, seven rebounds and two steals in 18 minutes. The Bighorns outrebounded the Charge 50-39 on the night. (On tonight’s game): "Once again, it’s the same old story. We built the lead, can’t hang on to the lead, can’t match their aggressiveness when they amp their energy up and their defensive effort. We struggled to score and execute, and it was a very bad fourth quarter. Very bad display of poise and execution on our part, and until we figure it out, it could be the same result." (On Sergey Karasev’s strong defensive effort): "It’s hard any time someone comes down and joins a team. It’s only the second time he’s played with these guys, so his rhythm is thrown off a little bit. He’s an athlete, he’s got good size. I liked his aggressiveness defensively. I think the more time he gets with these guys, the better feel he’ll have offensively." (On tonight’s fourth quarter): "I thought that we passed up some open looks. We attacked the basket, our guys had the attack mentality, but those shots just didn’t fall and we just can’t give it up that easily. On the defensive end when you’re just not making shots, you’ve got to make up for it. Our goal is to give up no more than 23 in a quarter, and letting up 33, that’s not where we want to be as a team." The Charge are back at home hosting the Erie BayHawks on Sunday, December 29th, at 5:00 p.m., with tickets starting as low as $7! 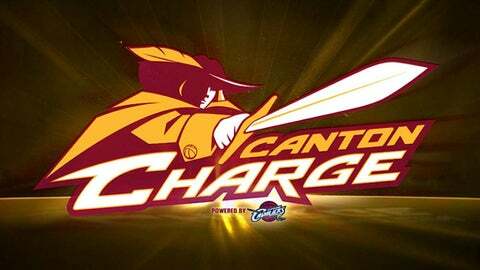 To purchase single game tickets or for all general ticket information, fans can call 1-866-444-1944 or visit www.CantonCharge.com/tickets.